Loris Karius' Besiktas loan has not worked out and the Liverpool loanee has "gone a bit stagnant", according to the Turkish club's manager Senol Gunes. The goalkeeper, who made two high-profile errors during Liverpool's Champions League final defeat to Real Madrid last May, joined the Super Lig club on a two-year loan in August after Jurgen Klopp's side signed Alisson from Roma. 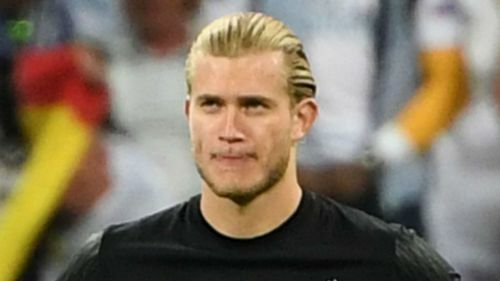 However, Karius' bid to rebuild his career in Turkey has not gone as planned and he allowed Omer Ali Sahiner's strike to squirm under him during Besiktas' 3-2 win over Konyaspor on Sunday. Karius' manager Gunes is concerned by his goalkeeper's recent form and even suggested he would drop him for 35-year-old Tolga Zengin if the veteran were registered with the first team. "He was at fault for the goals he conceded," Gunes said. "Karius has gone a bit stagnant, something is wrong with his electricity, motivation, enthusiasm for the game. "It has been like that since the beginning. He does not really feel a part of the team. "It's something we haven't been able to work out and, of course, I am partly to blame for this. "Something is wrong, [but] he has also been unlucky. "[He] is talented but it hasn't worked out and we have a problem. Let me put it this way, if I still had Tolga available I would play him."